Our success in business depends on our ability to meet a range of environmental and social challenges. We must operate safely and manage the effect our activities can have on neighbouring communities and wider society. This is central to the responsible delivery of energy. 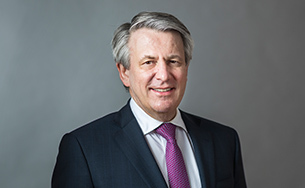 If we fail to do this, we may incur liabilities or sanctions, lose business opportunities, harm our reputation, or our licence to operate may be impacted. Today, society faces one of its toughest challenges ever: how to provide more energy to a growing world population, while also reducing the greenhouse gas emissions that contribute to climate change and to air pollution, which affect people around the world. Achieving a more sustainable energy future requires the energy transition, allowing society to reduce its emissions and tackle climate change, while also extending the economic and social benefits of energy to everyone. This ambition requires a change in the way energy is produced, used and made accessible to more people while drastically cutting emissions. It is feasible but requires urgent action and long-term vision. Shell is a willing and able player in this transition. We will play our role where it makes commercial sense, in oil and gas as well as in low-carbon technologies and renewable energy sources. But there is the need for society as a whole to address the climate challenge. We advocate that businesses, governments and civil society work together to shape a more sustainable energy future. Shell supports the United Nations Paris Agreement on climate change and seeks to play its part in helping governments and society to achieve the goals of this agreement. In November 2017, we stated a long-term ambition to reduce our Net Carbon Footprint associated with the energy products we sell in step with society’s drive to meet the goals of the Paris Agreement. We aim to reduce our Net Carbon Footprint by around half by 2050 and by around 20% by 2035, as an interim step. In December 2018, we announced – in a joint statement with institutional investors on behalf of Climate Action 100+ [A], our intention to set short-term targets for reducing the Net Carbon Footprint of the energy products it sells. This is a carbon intensity measure that includes our customers’ emissions when they use these products. We linked a Net Carbon Footprint target and other measures to our executive remuneration starting in 2019, one year earlier than planned. Further details are in the Directors’ Remuneration Report [B]. In 2017, Shell formed a coalition of industry, supported by organisations like the Environmental Defense Fund, United Nations Environment Programme, leading universities and the World Bank, to develop a set of methane guiding principles. Eight companies, including Shell, signed up to these principles. Since then, we have encouraged a further ten companies to join the guiding principles. The principles focus on ways to reduce emissions throughout the gas industry – from production to the final consumer. Over 2018, the coalition has deepened by producing detailed work on recommended operating practices and drafting recommended policy frameworks. In September 2018, Shell announced a target to maintain its methane emissions intensity below 0.20% by 2025, covering all of its operated Upstream and Integrated Gas facilities. We will do this by continuing to improve data on emissions, and by using this information to guide a whole range of initiatives. These include efforts to detect and repair methane leaks in our operations as well as programmes to replace equipment with newer gear that reduces leaks. Shell has been an active member of the TCFD Oil & Gas Preparer Forum right from its start. The Oil & Gas Preparer Forum is a collaboration between Eni, Equinor, Shell, Total and the World Business Council for Sustainable Development. The forum’s objectives are to review the current state of climate-related financial disclosures, to identify examples of effective disclosure practices and make proposals on how disclosures may evolve over time. It is also promoting a wider take up of the TCFD recommendation within the oil and gas sector. 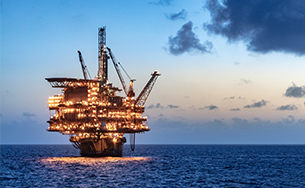 In July 2018, the TCFD Oil & Gas Preparer Forum released the report "Climate-related financial disclosures by oil and gas companies: implementing the TCFD recommendations". This report aims to highlight how the four companies are implementing the TCFD recommendations today and gives practical examples of effective climate change disclosure. In March 2018, we published the "Sky - meeting the goals of the Paris Agreement" scenario. The Sky scenario illustrates a technically possible, but challenging pathway for society to achieve the goals of the Paris Agreement. Sky builds on previous Shell Scenarios publications and is our most optimistic scenario in terms of climate outcomes. In 2018, we published our second Shell Energy Transition Report, which sets out how our strategy should allow us to thrive in this energy transition. It also provided information about our medium-term resilience and examples of how we are already active in many of the growth areas that will drive our continued success. For specific achievements within Shell’s businesses or more information on ongoing initiatives and partnerships, please refer to the Sustainability Report 2018. [A] Climate Action 100+ is a five-year initiative led by investors to engage systemically important greenhouse gas emitters and other companies across the global economy that have significant opportunities to drive the clean energy transition and help achieve the goals of the Paris Agreement. To date, 310 investors with more than USD $32 trillion in assets under management have signed on to the initiative. 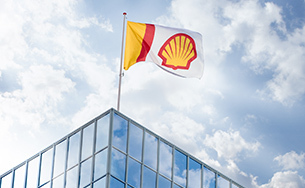 [B] The Directors’ Remuneration Report is part of Shell’s Annual Report and Form 20-F.